Meditation other than Kinesiology is fast becoming a way to inhibit old behaviours and start rewriting the cells in our bodies to live and move past old habits and self talk. How many times do you wake up or fall asleep thinking about the past, a past argument, a past hurt? Every-time you do that you are resetting every cell in your body with the exact same emotion that you felt the day the pain happened. You are actually teaching them to be addicted to that feeling. Yes, you can be addicted to emotion just as strongly as a drug or alcohol. Have you ever listened or watched some people in your life that seem to have the same thing happen over and over and over again and have the same emotional response they had to the previous problem? It is almost like being caught in a looped song. Playing over and over again. This kind of behaviour or addiction is so harmful on the body. How? Much like I explained in part 1 Kinesiology and you, every time you experience a problem and your brain waves are incoherent and your heart rate is elevated, you are successfully sending a chemical through the body. It’s called stress… or Cortisol, Corticotropin (releasing hormone), and adrenaline (to name a few). These hormones are carried through the body and the body responds accordingly. Living in this heightened state of stress for long periods of time damages the autonomic nervous system. So, how does meditation work? How can you by sitting still get your cells regenerating new information? It is called tapping into the quantum field. The space of nothing that lives deep in your brain with the pineal gland. This is where new information and habits can be produced. This is where you can start to heal your body from psychological and physical pain and stresses. Recently I watched a woman who runs a business, is a single mum, has emotional addictions and hurt in her heart who swore to me she can’t sit her body and brain still long enough to meditate, actually manage to meditate and had some wow moments at the same time. She flourished the next day. Recognised and started working on some new behaviours. So yes, I have seen and experienced the people who say they can’t, actually can. Including myself. I run two businesses, have teenage children in high school, studying constantly and volunteer at an animal shelter. Busy is an understatement. But through passion and commitment I am sticking to a regime of meditation, and mindfulness practice all day and each day gets better and better. 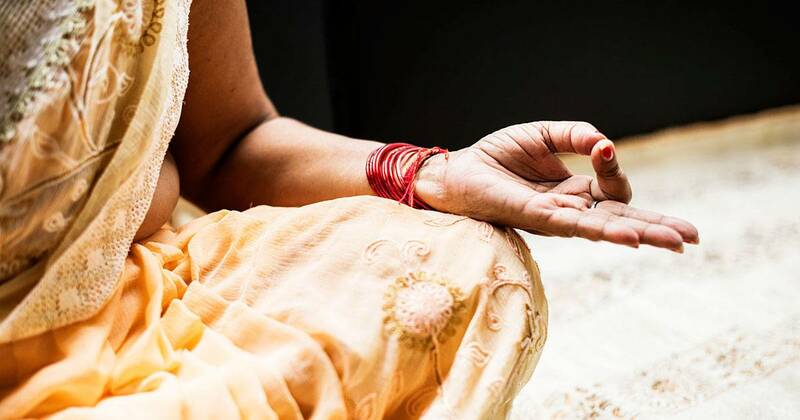 There is so much you can do with Meditation that involves diving deep into the unconscious or the operating system of your brain and making some changes for the better. Going deep into meditation gives you the opportunity to calm the brain and heart into coherent patterns and you vibrate at a higher level. Instil this love, gratitude, joy, and wholeness into the darker spaces of the mind and give your cells a new environment in which to grow. Tap into your new future inside your mind and start wearing that future on your body like a new outfit. Meditation is powerful. You can heal on so many levels. Just decide to start and that is the first step. Watch for updates on the website and my social media platforms for tips on getting started with meditating and maintaining the ultimate balance in body, mind and spirit so you can tackle whatever life throws at you and more.